Many times when actors play a character in a movie or a show, the character they portrait falls in line with the aspects in their birth chart. Let’s see if this is applicable to a show like AMC’s The Walking Dead. The show is about a group of people surviving a zombie apocalypse. 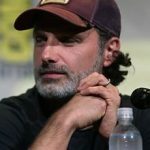 Lincoln plays Rick Grimes, the leader of a group of people who have become somewhat of a family. Rick was a sheriff’s deputy before the apocalypse. He is often forced to make difficult decisions on behalf of the group and to keep order within the group. He has a slow burn fuse but can enact his strong will when necessary. Astrologically, he is a Virgo so someone who looks at the details of the situation and is a person in the service of others. His Moon is Aries so he has that impulsive, quick reacting purpose in life. His Saturn (authority, hard work) is in Cancer (family). His Jupiter (law) is in Aquarius (groups) and his Neptune (ideals, visionary) is in Sagittarius (justness). These planets work well together but they are in a difficult aspect to the Saturn, forming a pattern called a Finger of God. So, he is destined to lead because of his vision/ideas and dedication to the law. 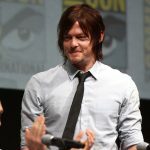 Reedus plays the character, Daryl Dixon. Daryl is a hillbilly hunter from the backwoods. He lived under the shadow of his abusive brother, Merle, which caused Daryl to become volatile and ill tempered. He is the strong silent type who was very aloof. His great tracking skills allowed him to be accepted by the group and he eventually becomes the right-hand man to Rick. He is a Capricorn Sun which the serious person who works hard. Saturn (difficulties) is square (difficult aspect) to his Sun. This usually refers to a difficult father connection. In the show, Merle and Daryl put up with an abusive, alcoholic father, later Merle became the father figure, and he was abusive as well. He has a Leo Midheaven (career) which is how others see him. The lion is a hunter and with Mars (hunter) in a sextile (skill) aspect to his Sun that adds to the hunter and killer aspect. 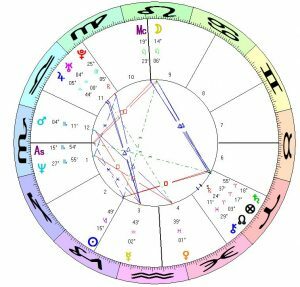 Uranus (quick, ingenuity) in trine (gifted) aspect to Mercury (mind) he is resourceful and clever. 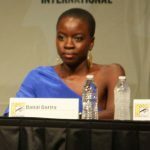 Gurira plays the outsider Michonne. She has endured some difficulties during the opening of the series. She carries a katana (Japanese sword) and leads two zombies on chains who turn out to be her boyfriend and his best friend. What led her to cut off their jaws and use them as guards? Her child has died. She is very serious and rarely smiles and like Daryl is tough as nails by circumstance. She is fiercely independent and expects equality for everyone. She is one who keeps her emotions to herself. She is an Aquarius Sun, which is a person who expects equality and liberty for all. Aquarius tend to be eccentric and isolated. 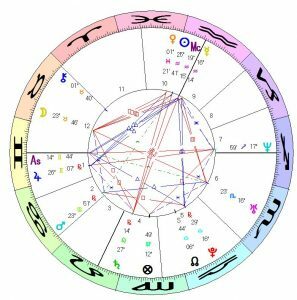 She has Saturn opposite the Sun, which adds to the individual/rebellious outlook but at the same time gives her discipline and makes her pragmatic. She is very serious and her character doesn’t smile much. Her Mars (violence) in a quincunx (an awkward and difficult aspect) to the Sun indicates that she became skilled in swordplay by the onset of difficult situations. Gurira has her Moon (emotions) in the hidden 12th house. 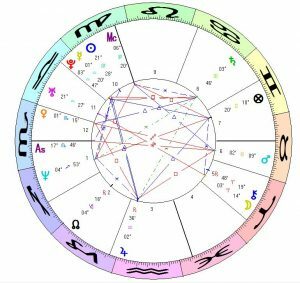 It would be good to study their personal lives more to find out what aspects of the chart exemplifies their characters. This is the case with other actors but I chose this cast because they are in my current favourite show.